Eager to kick-start your PC gaming experience in 2017? Then this is just the competition for you. In partnership with GIGABYTE and DinoPC, we're giving away a gaming rig armed with a Core i5-7600K processor overclocked to 4.8GHz, 16GB of DDR4 memory and GeForce GTX 1060 graphics. 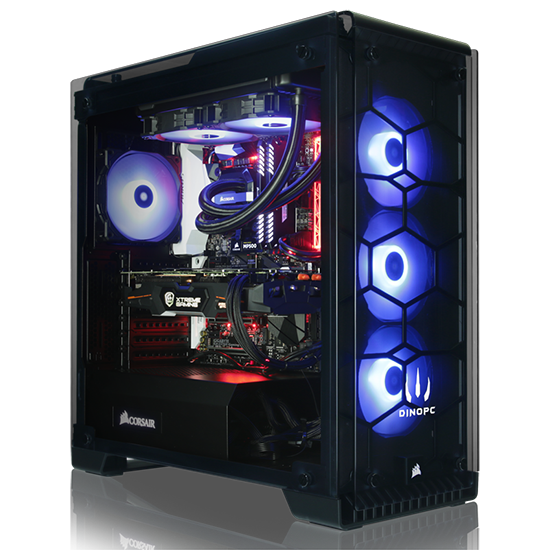 Hardware that's ideally suited to high-quality gaming, and DinoPC wraps it all in an eye-catching Corsair Crystal Series chassis. Want to be in with a chance of winning? Answer the following question to enter our free prize draw, and don't forget, you can also claim a second entry via Facebook to increase your chances! The competition winner(s) will be picked at random from all eligible entries that arrive by 22:00 GMT on the closing date, February 20, 2017. The winners will be notified via email by February 27, 2017. The winner must claim their prize within 7 days of the promoter sending notification. If the prize is unclaimed after this time, HEXUS reserves the right to offer the unclaimed prize to a substitute winner selected in accordance with these rules. Entered. Must be about time for me to win one of these!